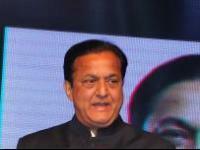 The Reserve Bank of India (RBI) has reaffirmed that a successor to YES BANK's MD and CEO Rana Kapoor should be appointed by February 1, 2019. The private lender had earlier said it will request RBI to extend Kapoor's tenure up to minimum of April 30, 2019. According to a company's filing on Wednesday, Kapoor will be fully guided by its Board of Directors, the RBI and other relevant stakeholders. The company has constituted a "Search and Selection Committee" to evaluate both internal and external candidates and make suitable recommendations to the Board of Directors within stipulated timelines for RBI' s final approval. "The bank's appointed committee is targeting to complete this recruitment process latest by mid December 2018, " the private lender said in a regulatory filing on Wednesday. Last month, RBI had rejected the bank's request to extend Rana Kapoor's tenure for three years and said he could continue until January 31, 2019. In June, the bank's shareholders had approved extension of Kapoor's tenure for three years starting September 2018, subject to final approval from the RBI.